Job Title : Licensed professional counselor EDUCATION : Requires an advanced degree in some area of human services with current LAT licensure; or LPC or LCSW with proficiency in the areas of treating trauma, borderline personality disorders and addictions. EXPERIENCE: Prefer a minimum of two years supervisory or management experience and at least four years of clinical experience. Employment: Full Time Job summary Trinity Teen Solutions, Inc is looking for an individual that is energetic, strong in their Christian faith, and will be a good role model at all times for the troubled teens enrolled in the residential treatment center. This individual needs to be a strong person that will not be easily manipulated by the girls, yet have empathy for each girl’s situation. The Licensed Counselor directs, manages, and coordinates all programmatic aspects of their client's treatment and must be able to demonstrate the knowledge and skills necessary to provide care appropriate to the age of the patients served 12-26 PRIMARY FUNCTIONS The Licensed Counselor must possess high moral and ethical standards with a strong Christian/Catholic background. Assumes the duties of the Executive Director in the absence of the Executive Director. Responsible to provide guidance to all patients in treatment Assists in prescribing treatment in consultation with medical staff and other disciplines. Develops admission bio/psych/socio, ASAM, plan of treatment, diagnosis, admission summary and any other admission paperwork as needed. Performs ongoing psychiatric evaluations, UR’s and makes changes to the Plan of Treatment as necessary. Conducts individual therapy sessions and documents on progress notes. Plans and coordinates after-care for discharge and documents discharge summary as per policy. Maintains all other documentation as per policy and procedure. Carries out, evaluates and records patient treatment. Directs group therapy sessions and documents as per policy. Conducts staff and client lectures. Responsible to provide guidance and pertinent information to Significant others concerning treatment program and patient care. Plans and conducts family therapy sessions. To confer and coordinate patient concerns with the family, other staff and after care treatment staff, Plans and conducts employer and referent conferences Must be aware of, and adhere to the Trinity Teen Solutions, Inc.’s policies. Family therapy or consultations via phone as needed per treatment plan. Maintains quality patient care in the Program. Implements and supervises DFS standards and any other accrediting agency that Trinity Teen Solutions, Inc. is accredited by or seeks to be accredited by. Recommends to the Executive Director changes needed to ensure quality patient care and the smooth operation of the patient program. Conducts and presides over staff meetings. Coordinates activities with other departments in the program relative to quality patient care. Assists the Executive Director with administrative duties. Monitors and controls budgetary requirements within the Program. Designs and implements the group therapy topics that objectify Trinity Teen Solutions, Inc. philosophies. Develops and monitors all statistical records with the program. Develops and monitors all admissions criteria and pre-screen of patients to ensure proper suitability for admissions. Responsible for own personal/professional development. Participates in community activities. Attends seminars/workshops in professional area. Attends and participates in in-service programs. Serves on committees as interested or appointed. Maintains good working relationship with referral agencies, transport agencies, professional staff and customers. Responsible for supervision of all other staff individuals professional or not that come in contact with clients entrusted to TTS. Ensure that the program has proper support Ensure that competent staff members are hired, supervised, evaluated on an annual basis and retained in sufficient numbers Ensure that the facility, equipment, and materials are available in support of the program Ensure that staff members and services are properly coordinated Ensure that the programs functions effectively within the larger child-serving system Ensure verification that training and education related to job description for all staff Supervisors, in addition to the required professional qualifications, shall have the necessary supervisory skills and an extensive understanding of child development and behavior. In addition to the basic practice skills and competencies of a child and youth care worker, supervisors shall have skills in support, interpretation, mediation, training, and administration. Shall provide regular supervision to every supervisee regardless of his or her length of experience or maturity. Shall coordinate the activities of staff with shared responsibility for quality service Have the responsibility to provide for dissemination of information to staff members within the unit on current agency policies, procedures, and practices, and on developments within the community and the field of child welfare. Have the responsibility to share in coordinating the unit and /or department’s work within the operating procedures of the agency in such a manner as to properly carry out agency policies, goals and objectives. Have the responsibility to assume administrative tasks in the agency, as assigne Have the responsibility to participate in the employment of staff members within the unit, and in the assignment of their duties. Have the responsibility to plan and implement a continuing structured staff development program Have the responsibility to evaluate performance of staff on a continuing basis Have the responsibility to assume assignments that may include direct service to children and their families. Responsible to perform other related duties as may be assigned. Establish and maintain policies and procedures directing and evaluating the medical care of all patients at Trinity Teen Solutions Establish and maintain bi-weekly case conferences with all the staff, reviewing, directing and overseeing the medical (clinical) needs of all patients receiving care at TTS. Works closely with all employees at TTS under Clinical Director’s supervision, including, other therapist’s counselors, staff supervisors, office staff, life coaches, ranch hands or any other staff that maybe hired to meet the needs of the clients. Have the responsibility for developing and maintaining an ongoing system for correcting deficiencies of clinical service delivery found within the program. The Licensed Counselor must be willing and capable of providing reliable and accurate updates (patient treatment plans) to insurance companies and managed care organizations with a view toward patient need and treatment outcomes. He/she must be organized and effective in protecting the interests of all patients receiving care at TTS (medical and financial). The Licensed Counselor shall be responsible for reviewing all patient treatment plans on at least a bi-weekly basis to insure that appropriate level of care is being administered. This review is documented weekly in the ASAM and ICANotes. Additionally, Progress Notes shall be reviewed to determine overall effectiveness of treatment, potential documentation deficiencies, and undetected patient needs. The Licensed Counselor must be knowledgeable of all policies and procedures executed by TTS, especially those pertaining to patient care. He/she is expected to establish positive working relationships with other professionals in an effort to maintain solid lines of communication and sharing of ideas, concepts, and information. The Licensed Counselor must be capable and willing to provide specific clinical information and recommendations to all referral sources when requested and appropriate. This includes the formulation of effective Continuing Care Plans and Discharge Summaries. Although the Clinical Director may not actually author such documents, he or she must review the final products to insure that quality and continuity are maintained. The Licensed Counselor must possess leadership skills that promote an open, honest, accountable, and effective system of service delivery. He/she must exhibit the ability to lead, instruct, and when necessary, correct (discipline) all clinical personnel within the TTS program (under the direction and counsel of the Director). He/she must be willing and able to consistently insure that the Director is fully and accurately informed of all conditions relating to patient care. The Licensed Counselor shall be expected to take reasonable measures in maintaining up-to-date study in matters of clinical theory, literature reviews, etc. specific to the fields of addiction and mental health. Ensures treatment care is delivered in safe, effective manner in compliance with state, federal, and any other licensing or accreditation requirements. The Licensed Counselor is responsible for monitoring licensure and accreditation compliance and maintaining a constant state of readiness for audits. SECONDARY FUNCTIONS: Initiate, develop and implement an inservice training program for TTS staff. Assist in public relation activities as needed. Recommend purchase of capital equipment items and other budgetary considerations. Maintain communication with Program Director regarding all matters of importance regarding the TTS program. Serve on designated committees as required. Assume responsibility of the Program Director in his or her absence. MODALITIES AND APPROACHES: Wilderness Therapy/Outdoor Behavioral Healthcare, Reality Therapy, Family Systems, Experiential Therapy, Animal Assisted Therapy, Group Therapy, Individual Therapy, Christ-Centered Counseling, Rational Emotive Behavior Therapy, Personality Assessment, Nutritional Therapy, Crisis Intervention, Art Therapy, Psycho-Drama therapy, Exercise, Use of daily routine , Relationship Therapy, Bibliotherapy, Spiritual Activities, Journaling, Aftercare/Referral, Cognitive Restructuring, Confrontive Therapy, Insight therapy: Behavior Modification, Solution Oriented Therapy , Supportive Maintenance, Symptom Focused, Education, Strategic Therapy, Ordeal Therapy, EMDR, DBT, CBT, MRT, Psychiatric Consultation, Career Counseling, Personality Inventories/Assessments: If you are Qualified and interested in this position, please click the APPLY NOW button below and submit your resume, a cover letter and list of references. Thanks You and God bless! Job Summary: Provides direct and indirect patient care services that meet the psychosocial, physical and general aspects of patient care. Meets the communication needs of patient and family. Knowledgeable of a wide range of disorders; cognitive, emotional, developmental, social and behavioral. Provides care that reflects initiative and responsibility indicative of professional expectations, under the supervision of a registered nurse. Performs crisis intervention. Participates in the unit's performance improvement and continuous quality improvement (CQI) activities. Demonstrates Competency in the Following Areas: Performs patient care responsibilities considering needs specific to the standard of care for the patient's age and clinical condition Demonstrates the ability to perform nursing assessments on all patients of all ages and reassessments as per policy Ability to adequately assess and reassess pain. Utilizes appropriate pain management techniques. Educates the patient and family regarding pain management. Demonstrates knowledge of medications, including psychotropic drugs, and their correct administration based on the patient's age and clinical condition. Follows the six (6) medication rights and reduces the potential for medication errors. Formulates and implements patient plans of care; family is included when appropriate. Demonstrates ability to revise the plan of care as indicated by the patient's response to treatment and evaluate overall plan daily for effectiveness. Continuously observes patient's behavior, mental status and activities. Demonstrates ability to perform treatments and provide services to level of licensure. Performs all aspects of patient care in an environment that optimizes patient safety and reduces the likelihood of medical/health care errors. Supports and maintains a culture of safety and quality. Communicates appropriately and clearly to team leader, co-workers and physicians. Concurs with members of the treatment team for the benefit of the patient. Consults other departments, as appropriate, to provide for an interdisciplinary approach to the patient's needs. Provides nursing care appropriate to the mental and physical condition of the patient Demonstrates the ability to perform crisis intervention. Documentation meets current standards and policies. Maintains and operates equipment safely and correctly. Treats patients and families with respect and dignity; provides emotional support. Provides education to the patient and family concerning plans of care, compliance with the plan of care, medications and their side effects. Functions as a patient and family advocate at all times. Maintains a good working relationship both within the department and with other departments. Demonstrates an ability to be flexible, organized and function under stressful situations. Assists with research studies conducted in the department. Coordinates and supervises patient care. Response to the patient is appropriate in distressful situations. Performs other duties as assigned within the RN/LPN/LVN scope of practice. Performs laboratory specimen collections according to policies and procedures Supervises, orientates, and manages the waived testing program according to policies and procedures Professional Requirements: Licensed in the State of Wyoming as a Registered Nurse or Licensed Practical Nurse. Adheres to dress code; appearance is neat and clean. Completes annual education requirements. Maintains regulatory requirements. Maintains patient confidentiality at all times. Reports to work on time and as scheduled, completes work within designated time. Wears identification while on duty, uses computerized punch time system correctly. Completes in-services and returns in a timely fashion. Attends annual review and department in-services, as scheduled. Attends at least 12 staff meetings annually, reads and returns all monthly staff meeting minutes. Represents the organization in a positive and professional manner. Actively participates in performance improvement and continuous quality improvement (CQI) activities. Complies with all organizational policies regarding ethical business practices. Communicates the mission, ethics and goals of the facility, as well as the focus statement of the department. If you are Qualified and interested in this position, please click the APPLY NOW button below and submit your resume, a cover letter and list of references. Thanks You and God bless! PRIMARY FUNCTION Behavioral Health Assistants must possess high moral and ethical standards with a strong Christian/Catholic background. Behavioral health assistants work closely to supervise and encourage clients on a day-to-day basis. They are responsible for supervising and assisting clients to meet their physical, social, emotional, and spiritual well being. Direct care staff are expected to meet client needs and maintain an environment of care and compassion, while simultaneously maintaining healthy, yet firm boundaries. Direct care staff are with the client’s 12 hours a day and work to encourage them to make healthy choices, have healthy peer interactions, and to implement the use of DBT skills to work through difficult emotions or situations. The staff are responsible for constant observation of clients and must maintain a high level of professionalism at all times. Staff facilitates activities of daily living, promotes the implementation of life skills and self-sufficiency, and has the ability to assess for high risk potential. Direct care staff are responsible for the client’s physical safety and must maintain and promote a safe environment at all times. Monitor the patient's daily activities and maintain peace and harmony of the group. Maintain a clean and orderly environment by setting an example and teaching the patients essential life skills. Instruct and monitor the patient's on proper daily hygiene and dress code. Collaborate and work with the ranch crew to enhance the ability for the patients to learn and practice essential life skills and social skills. Implement the patients plan of treatment that is created by the licenses professional counselors. Oversee safety, health and well being of the patients. Plan and organize treatment interventions with treatment team. Maintain control and develop a healthy environment. Plan, organize and implement lesson plans according to each student’s individual academic needs. Monitor and implement Trinity Teen Solutions Program Rules, Policies, Philosophies, Handbooks, Fire Safety Rules, Wyo. Department of Family Services State Regulations, and State Health Inspections. Need to be physically fit enough to perform non violent crisis intervention and physical restraints, while maintaining patient and personal safety. Provide safe transportation, ensure wearing of seat belts, and that all ranch roads and highway regulations are followed. All vehicles will be cared for properly, cleaned after each use and inspected on a daily basis. Learn ranch activities such as, animal care, safety, driving all terrain vehicles, trucks. Other tools may include anything from a screwdriver to a claw hammer. Maintain all written documentation such as progress notes, group therapy notes, daily checklist, and academic records. Ensure that all meals are nutritious and follow proper food handling procedures. Provide a family dining atmosphere when possible, using proper table manners, and cleaning up after meals. If you are Qualified and interested in this position, please click the APPLY NOW button below and submit your resume, a cover letter and list of references. Thanks You and God bless! 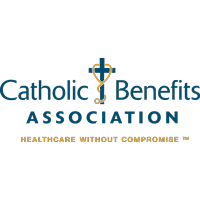 PRIMARY FUNCTION The CNA must possess high moral and ethical standards with a strong Christian/Catholic background. They must supervise and ensure safety of the female patients, monitor their activities of daily living, and maintain group harmony through being a good example and how to interact in relationships. This allows opportunities for the patient to find the goodness within, practicing new learned skills while providing direction for returning home. Monitor the patient's daily activities and maintain peace and harmony of the group. Maintain a clean and orderly environment by setting an example and teaching the patients essential life skills. Instruct and monitor the patient's on proper daily hygiene and dress code. Collaborate and work with the ranch crew to enhance the ability for the patients to learn and practice essential life skills and social skills. Implement the patients plan of treatment that is created by the licenses professional counselors. Oversee safety, health and well being of the patients. Plan and organize treatment interventions with treatment team. Maintain control and develop a healthy environment. Plan, organize and implement lesson plans according to each student’s individual academic needs. Monitor and implement Trinity Teen Solutions Program Rules, Policies, Philosophies, Handbooks, Fire Safety Rules, Wyo. Department of Family Services State Regulations, and State Health Inspections. Provide safe transportation, ensure wearing of seat belts, and that all ranch roads and highway regulations are followed. All vehicles will be cared for properly, cleaned after each use and inspected on a daily basis. Learn ranch activities such as, animal care, safety, driving all terrain vehicles, trucks. Other tools may include anything from a screwdriver to a claw hammer. Maintain all written documentation such as progress notes, group therapy notes, daily checklist, and academic records. Ensure that all meals are nutritious and follow proper food handling procedures. Provide a family dining atmosphere when possible, using proper table manners, and cleaning up after meals. If you are Qualified and interested in this position, please click the APPLY NOW button below and submit your resume, a cover letter and list of references. Thanks You and God bless!